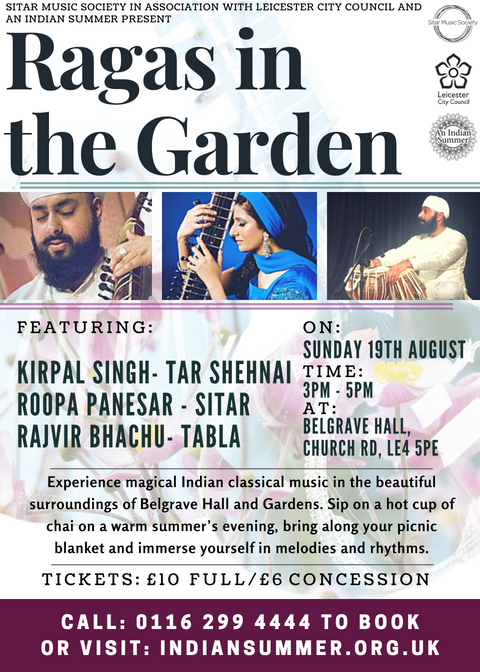 Experience magical Indian classical music in the beautiful surroundings of Belgrave Hall and Gardens. Sip on a hot cup of chai on a warm summer’s evening and immerse yourself in ‘ragas’ and rhythms. Bring along your picnic blanket and unwind. Event in association with An Indian Summer and Leicester Museums and Galleries.